PLAY 54 TO BE CELEBRATION: HISTORIC AND LUXURY CARS IN PADOVA History, exclusivity, art and culture will be combined with the world of motors An exclusive event about four-wheel, will meet with golfers and manager of the north east of italy. It will be a July weekend rich of contacts. 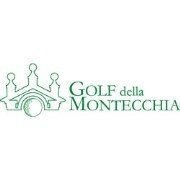 The event will be hosted by Golf della Montecchia. A unique and suggestive location, characterized by the impotent Emo Capodilista Castle. It overlooks the field, composed by a circuit of 27 holes, restaurants runned by Alaimo family. 100 players, opinion leaders, V.I.P. and journalists will challenge themselves over the green of Montecchia, during a day dedicated to the race and the celebration of luxury cars, that will participate to the Elegance Competition Cars and Art. Cars and Art is a unique event in the historic cars review; the first edition took place 15 years ago, with the aim to be an itinerant event among the most beautiful art cities of the Veneto Region, showing the most fascinating cars, matching Classic Art with the contemporary one. Organized by the Circolo Veneto Automoto d'Epoca "Giannino Marzotto", one of the oldest club of historic cars in Europe in collaboration with Golf della Montecchia and the Car Museum "Bonfanti-Vimar", the event will take place the 18th and 19th of July, with an amazing parade of about 40 historic cars. 01:00 p.m. Arrival of 30 cars and positioning in the "park exhibition" planned. Brunch hospitality crews. For the crews and friends in the afternoon excursions discovering Padua and visit the Scrovegni Chapel. Or relax at the Spa at the Radisson Hotel,TERME DI GALZIGNANO GOLF COURSE. 07:30 p.m. Dinner buffet and presentation of the Main Sponsor of the event. Final day with Award Ceremony with opening to the public that may participate as judge to vote. Brunch and departure of the cars. Possibility to continue to play and entertain relations in dedicated areas. Golf della Montecchia is one of the 3 golf clubs near Venice, joined together to increase the quality of the offer, just 15 minutes away from each other. Opportunity to play 365 days a year. An Academy of 5 professional and one personal trainer for a correct approach to golf and sports start using new technologies. Forefront golf center, with environmental awards. Golf della Montecchia , born in 1988 on the initiative of a group of willing entrepreneurs, is now approaching his first 25 years of life. The Championship course, designed by the British architect Tom Macaulay , hosted the Challenge Tour in 2001, 2002 and 2013 and the Alps Tour in 2010 and 2012. Over the years,many improvements and changing to the course was made, while nature did its part too by reinforcing the heritage trees . In the last period , the current administration , insisted in the adaptation of the whole structure and facilities to rules concerning ecology, safety and optimization of resources , particularly with regard to water and electricity. The recent conversion of turf to Bermudagrass , which replaced the previous essences , allow fairways optimal conditions all around the year. The properties of the Counts Emo Capodilista , including an ancient castle and a splendid Renaissance villa , once also included the Golf Club House. It is situated in an ancient tobacco drying carefully restored and it offers many services to members and visitors , now more accessible due to the new ring road , which provides a fast link to the town and to all other directions.